Miley + Liam Are Planning An Intimate Beach Wedding! 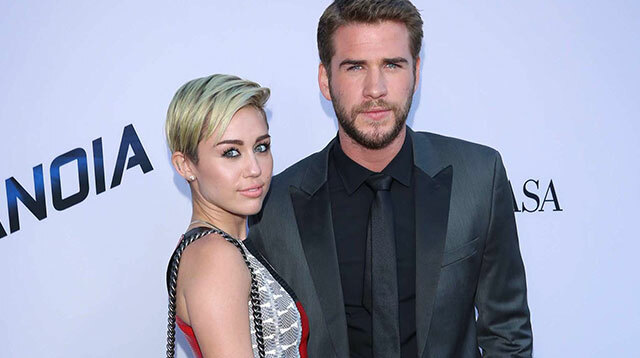 Miley Cyrus and Liam Hemsworth will reportedly tie the knot on the beach. The “Wrecking Ball” popstar rekindled her romance with Liam in late 2015, two years after they called off their engagement, and this time they have both gone out of their way to keep the private reunion low-key. Miley has been spotted wearing the diamond ring The Hunger Games star gave her when he proposed on her left ring finger, and while the couple has yet to confirm if the wedding plans are officially back on, sources tell Us Weekly magazine the two are currently ironing out details. "They're getting married on the beach," a source tells the publication. "Their parents are doing most of the work. It's been easy!" Earlier this year, The Hunger Games star dismissed rumors he was officially engaged again and insisted the pair was not heading down the aisle anytime soon. It is unclear when the reported "beach" wedding will take place, but it will most likely be a private affair, if the rumors are true. "I just find it's easier to not talk about my personal life because usually I say the wrong thing, so it ends up just complicating things more," he told Entertainment Tonight last month. "So, I feel like it's better not to talk about it." However, when Miley and Liam do decide to wed they already have a volunteer lined up to officiate the ceremony—Miley's dad, Billy Ray Cyrus. He recently told U.S. breakfast show Today, "They know if they need a preacher they've found one!"